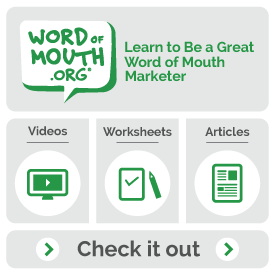 How to create word of mouth on zero budget | Andy Sernovitz | Damn, I Wish I'd Thought of That! ← Why do so many dry cleaners get bad reviews? Why just because you can’t compete on budget doesn’t mean you can’t still win with cleverness, resourcefulness, and creativity. One of Saul’s all-time favorite word of mouth examples that he’s told hundreds and hundreds of people about – something that didn’t cost a thing. Why when you’re brainstorming, your first idea should involve a giant robot and you should work backwards from there.